Most couture fashion trends would look absurd in home design. 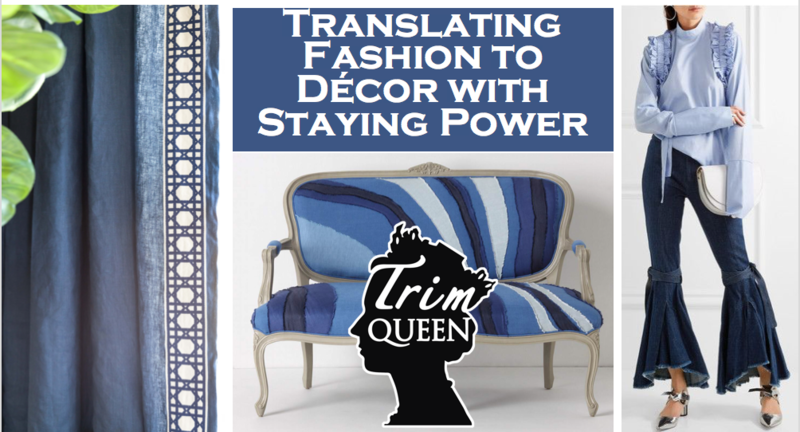 However, many of the innovative fabrications, textiles, embellishments and color palettes seen on the runway serve as great indicators and inspiration for what will trickle down to decor in surprising ways. Take a fast-paced visual tour with embellishment expert and design blogger Jana Platina Phipps known as Trim Queen, through what’s “haute” and which trends can be integrated into the home market.